AS-IS UNIT, Remote Start, LEATHER, CLEAN CARFAX, CARFAX ONE OWNER, Bluetooth/Hands Free Phone, REAR DVD, 30GB HDD w/6,700-Song Capacity, 6.5 Touch Screen Display, 9 Amplified Speakers w/Subwoofer, Audio Jack Input for Mobile Devices, Brake assist, Class IV Receiver Hitch, Electronic Stability Control, Heated front seats, Heated steering wheel, Pedal memory, Power 10-Way Memory Driver & 6-Way Passenger Seats, Quick Order Package 26H Laramie, Radio: Media Center 430 CD/DVD/HDD, Rear Parking Sensors, UConnect Phone w/Voice Command, Ventilated Front Seats.Stew Hansen Dodge Ram Chrysler Jeep RAM is pumped up to offer this wonderful-looking 2010 Dodge Ram 1500. Laramie 4WDCall now to get special offers and VIP treatment from our internet division. Please contact us today at 1-888-993-8282. CERTIFIED, LOW MILES, ONE OWNER, CLEAN CARFAX, Up to 7-Year/100,000 Mile Powertrain Limited Warranty, CERTIFIED: 125-Point Inspection, 17 x 7 Aluminum Wheels, 3.21 Rear Axle Ratio, 40/20/40 Split Bench Seat, 4-Wheel Disc Brakes, 6 Speakers, ABS brakes, Add Class IV Receiver Hitch, Air Conditioning, AM/FM radio, Anti-Spin Differential Rear Axle, Audio Jack Input for Mobile Devices, Body Color Front Fascia, Body Color Grille, Body Color Rear Bumper w/Step Pads, Brake assist, Carpet Floor Covering, Cloth 40/20/40 Bench Seat, Delete Class IV Receiver Hitch, Delete Spray In Bedliner, Electronic Stability Control, For More Info, Call 800-643-2112, Front Armrest w/3 Cupholders, Front Floor Mats, Front Fog Lamps, Integrated Voice Command w/Bluetooth, Manual Adjust Seats, Media Hub (USB, AUX), No Satellite Coverage w/AK/HI/PR/VI/GU, Popular Equipment Group, Power steering, Power windows, Quick Order Package 22J Express, Radio data system, Radio: 3.0, Radio: Uconnect 3.0, Ram 1500 Express, Rear Floor Mats, Rear Folding Seat, Remote Keyless Entry w/All-Secure, Remote USB Port, SiriusXM Satellite Radio, Speed control, Traction control.Stew Hansen Dodge Ram Chrysler Jeep RAM is excited to offer this wonderful-looking 2018 Ram 1500. Express 4WDCertified.FCA US Certified Pre-Owned Details: * Roadside Assistance * 125 Point Inspection * Transferable Warranty * Limited Warranty: 3 Month/3,000 Mile (whichever comes first) after new car warranty expires or from certified purchase date * Includes First Day Rental, Car Rental Allowance, and Trip Interruption Benefits * Vehicle History * Powertrain Limited Warranty: 84 Month/100,000 Mile (whichever comes first) from original in-service date * Warranty Deductible: $100Call now to get special offers and VIP treatment from our internet division. Please contact us today at 1-888-993-8282. CERTIFIED, LOW MILES, Remote Start, NAVIGATION, ONE OWNER, CLEAN CARFAX, Up to 7-Year/100,000 Mile Powertrain Limited Warranty, CERTIFIED: 125-Point Inspection, 115V Auxiliary Power Outlet, 3.21 Rear Axle Ratio, 8.4 Touchscreen Display, 9 Alpine Speakers w/Subwoofer, ABS brakes, Air Conditioning ATC w/Dual Zone Control, Audio Jack Input for Mobile Devices, Auto-Dimming Exterior Mirrors, Auto-Dimming Rear-View Mirror, Big Horn Badge, Big Horn Regional Package, Brake assist, Bright/Bright Billets Grille, Bucket Seats, Charge Only Remote USB Port, Class IV Receiver Hitch, Cloth Bucket Seats, Electric Shift-On-Demand Transfer Case, Electroluminescent Instrument Cluster, Electronic Stability Control, Exterior Mirrors Courtesy Lamps, Exterior Mirrors w/Supplemental Signals, Fog Lamps, Folding Flat Load Floor Storage, For Details Visit DriveUconnect.com, Full Length Upgraded Floor Console, Glove Box Lamp, GPS Antenna Input, GPS Navigation, HD Radio, Integrated Voice Command w/Bluetooth, Leather Wrapped Steering Wheel, LED Bed Lighting, Media Hub (USB, AUX), Nav-Capable! See Dealer for Details, Overhead Console w/Garage Dr Opener, Panic alarm, ParkSense Front/Rear Park Assist System, ParkView Rear Back-Up Camera, Power 10-Way Driver Seat, Power Heated Fold-Away Mirrors, Power Lumbar Adjust, Power steering, Power windows, Power-Folding Mirrors, Premium Cloth Bucket Seats, Quick Order Package 22S Big Horn, Radio: Uconnect 3C Nav w/8.4 Display, Radio: Uconnect 3C w/8.4 Display, Rear 60/40 Split Folding Seat, Rear Dome w/On/Off Switch Lamp, Remote keyless entry, Remote Start System, Remote USB Port, Security Alarm, SIRIUSXM Satellite Radio, SIRIUSXM Traffic, SIRIUSXM Travel Link, Speed control, Steering Wheel Mounted Audio Controls, Sun Visors w/Illuminated Vanity Mirrors, Tip Start, Traction control, Uconnect Access, Uconnect Access 1 Year Trial, Underhood Lamp, Universal Garage Door Opener, Wheels: 20 x 8 Aluminum Chrome Clad.Stew Hansen Dodge Ram Chrysler Jeep RAM is proud to offer this wonderful 2017 Ram 1500. Big Horn 4WDCertified.FCA US Certified Pre-Owned Details: * Includes First Day Rental, Car Rental Allowance, and Trip Interruption Benefits * Transferable Warranty * Powertrain Limited Warranty: 84 Month/100,000 Mile (whichever comes first) from original in-service date * Vehicle History * Warranty Deductible: $100 * 125 Point Inspection * Limited Warranty: 3 Month/3,000 Mile (whichever comes first) after new car warranty expires or from certified purchase date * Roadside AssistanceCall now to get special offers and VIP treatment from our internet division. Please contact us today at 1-888-993-8282. Last chance End Of Month Blowout!! CERTIFIED, LOW MILES, ONE OWNER, Remote Start, Up to 7-Year/100,000 Mile Powertrain Limited Warranty, CERTIFIED: 125-Point Inspection, 3.21 Rear Axle Ratio, 6 Month Trial (Reg. Required), 6 Month Trial (Registration Required), 8.4 Touchscreen Display, 9 Alpine Speakers w/Subwoofer, ABS brakes, Air Conditioning ATC w/Dual Zone Control, Audio Jack Input for Mobile Devices, Auto-Dimming Exterior Mirrors, Auto-Dimming Rear-View Mirror, Big Horn Badge, Big Horn Regional Package, Brake assist, Bright/Bright Billets Grille, Bucket Seats, Class IV Receiver Hitch, Dual Rear Exhaust w/Bright Tips, Electric Shift-On-Demand Transfer Case, Electroluminescent Instrument Cluster, Electronic Stability Control, Exterior Mirrors Courtesy Lamps, Exterior Mirrors w/Supplemental Signals, Fog Lamps, For Details Visit DriveUconnect.com, Full Length Upgraded Floor Console, Glove Box Lamp, GPS Antenna Input, Integrated Voice Command w/Bluetooth, Leather Wrapped Steering Wheel, LED Bed Lighting, Media Hub (USB, AUX), Nav-Capable! See Dealer for Details, Overhead Console w/Garage Dr Opener, Panic alarm, ParkSense Front/Rear Park Assist System, ParkView Rear Back-Up Camera, Power Heated Fold-Away Mirrors, Power steering, Power windows, Power-Folding Mirrors, Premium Cloth Bucket Seats, Quick Order Package 26S Big Horn, Radio: Uconnect 3C w/8.4 Display, Rear Dome w/On/Off Switch Lamp, Rear Window Defroster, Remote keyless entry, Remote Start System, Remote USB Port, Security Alarm, SIRIUSXM Satellite Radio, Speed control, Steering Wheel Mounted Audio Controls, Sun Visors w/Illuminated Vanity Mirrors, Traction control, Uconnect Access, Underhood Lamp, Universal Garage Door Opener, Wheels: 20 x 8 Aluminum Chrome Clad.Stew Hansen Dodge Ram Chrysler Jeep RAM is delighted to offer this superb-looking 2017 Ram 1500. Big Horn 4WDCertified.FCA US Certified Pre-Owned Details: * Limited Warranty: 3 Month/3,000 Mile (whichever comes first) after new car warranty expires or from certified purchase date * Transferable Warranty * Roadside Assistance * 125 Point Inspection * Vehicle History * Warranty Deductible: $100 * Powertrain Limited Warranty: 84 Month/100,000 Mile (whichever comes first) from original in-service date * Includes First Day Rental, Car Rental Allowance, and Trip Interruption BenefitsCall now to get special offers and VIP treatment from our internet division. Please contact us today at 1-888-993-8282. CERTIFIED, LOW MILES, ONE OWNER, CLEAN CARFAX, Up to 7-Year/100,000 Mile Powertrain Limited Warranty, CERTIFIED: 125-Point Inspection, 40/20/40 Split Bench Seat, 4-Wheel Disc Brakes, 5.0 Touchscreen Display, 6 Speakers, ABS brakes, Add Class IV Receiver Hitch, Air Conditioning, AM/FM radio, Anti-Spin Differential Rear Axle, Audio Jack Input for Mobile Devices, Body Color Front Fascia, Body Color Grille, Body Color Rear Bumper w/Step Pads, Brake assist, Carpet Floor Covering, Charge Only Remote USB Port, Cloth 40/20/40 Bench Seat, Delete Class IV Receiver Hitch, Delete Spray In Bedliner, Dual Rear Exhaust w/Bright Tips, Electronic Stability Control, Express Value Package, For More Info, Call 800-643-2112, Front Armrest w/3 Cupholders, Front Floor Mats, Front Fog Lamps, GPS Antenna Input, Integrated Voice Command w/Bluetooth, Manual Adjust Seats, Media Hub (USB, AUX), No Satellite Coverage w/AK/HI/PR/VI/GU, Overhead Console, Power steering, Power windows, Quick Order Package 27J Express, Radio data system, Radio: 3.0, Radio: Uconnect 3 w/5 Display, Ram 1500 Express, Rear Floor Mats, Rear Folding Seat, Rear View Day/Night Mirror, Remote Keyless Entry w/All-Secure, Remote USB Port, SiriusXM Satellite Radio, Speed control, Temperature & Compass Gauge, Traction control, Trailer Brake Control, Wheels: 20 x 8 Aluminum Chrome Clad.Stew Hansen Dodge Ram Chrysler Jeep RAM is pumped up to offer this superb-looking 2018 Ram 1500. Express 4WDCertified.FCA US Certified Pre-Owned Details: * Limited Warranty: 3 Month/3,000 Mile (whichever comes first) after new car warranty expires or from certified purchase date * Includes First Day Rental, Car Rental Allowance, and Trip Interruption Benefits * Transferable Warranty * Warranty Deductible: $100 * Powertrain Limited Warranty: 84 Month/100,000 Mile (whichever comes first) from original in-service date * 125 Point Inspection * Vehicle History * Roadside AssistanceCall now to get special offers and VIP treatment from our internet division. Please contact us today at 1-888-993-8282. CERTIFIED, Remote Start, CLEAN CARFAX, CARFAX ONE OWNER, Up to 7-Year/100,000 Mile Powertrain Limited Warranty, Bluetooth/Hands Free Phone, 115V Auxiliary Power Outlet, 40/20/40 Split Bench Seat, 6 Month Trial (Reg. Required), 6 Month Trial (Registration Required), 8.4 Touchscreen Display, 9 Alpine Speakers w/Subwoofer, Air Conditioning ATC w/Dual Zone Control, Audio Jack Input for Mobile Devices, Auto-Dimming Exterior Mirrors, Auto-Dimming Rear-View Mirror, Big Horn Badge, Big Horn Regional Package, Bright/Bright Billets Grille, Charge Only Remote USB Port, Class IV Receiver Hitch, Dual Rear Exhaust w/Bright Tips, Electric Shift-On-Demand Transfer Case, Electroluminescent Instrument Cluster, Exterior Mirrors Courtesy Lamps, Exterior Mirrors w/Supplemental Signals, Fog Lamps, Folding Flat Load Floor Storage, For Details Visit DriveUconnect.com, Front Armrest w/3 Cupholders, Front Center Seat Cushion Storage, Glove Box Lamp, GPS Antenna Input, Integrated Voice Command w/Bluetooth, Leather Wrapped Steering Wheel, LED Bed Lighting, Media Hub (USB, AUX), Nav-Capable! See Dealer for Details, Overhead Console w/Garage Dr Opener, ParkSense Front/Rear Park Assist System, ParkView Rear Back-Up Camera, Power 10-Way Driver Seat, Power Heated Fold-Away Mirrors, Power Lumbar Adjust, Power-Folding Mirrors, Premium Cloth 40/20/40 Bench Seat, Quick Order Package 26S Big Horn, Radio: Uconnect 3C w/8.4 Display, Rear 60/40 Split Folding Seat, Rear Dome w/On/Off Switch Lamp, Remote Start System, Remote USB Port, Security Alarm, SIRIUSXM Satellite Radio, Steering Wheel Mounted Audio Controls, Storage Tray, Sun Visors w/Illuminated Vanity Mirrors, Uconnect Access, Underhood Lamp, Universal Garage Door Opener, Wheels: 20 x 8 Aluminum Chrome Clad.Stew Hansen Dodge Ram Chrysler Jeep RAM is excited to offer this superb 2017 Ram 1500. Big Horn 4WDOdometer is 5092 miles below market average!Certified.FCA US Certified Pre-Owned Details: * Transferable Warranty * Vehicle History * Roadside Assistance * Warranty Deductible: $100 * 125 Point Inspection * Limited Warranty: 3 Month/3,000 Mile (whichever comes first) after new car warranty expires or from certified purchase date * Includes First Day Rental, Car Rental Allowance, and Trip Interruption Benefits * Powertrain Limited Warranty: 84 Month/100,000 Mile (whichever comes first) from original in-service dateCall now to get special offers and VIP treatment from our internet division. Please contact us today at 1-888-993-8282. CERTIFIED, Remote Start, NAVIGATION, CLEAN CARFAX, CARFAX ONE OWNER, Up to 7-Year/100,000 Mile Powertrain Limited Warranty, Bluetooth/Hands Free Phone, 115V Auxiliary Power Outlet, 40/20/40 Split Bench Seat, 6 Month Trial (Reg. Required), 6 Month Trial (Registration Required), 8.4 Touchscreen Display, Air Conditioning ATC w/Dual Zone Control, Audio Jack Input for Mobile Devices, Auto-Dimming Exterior Mirrors, Auto-Dimming Rear-View Mirror, Big Horn Badge, Big Horn Regional Package, Bright/Bright Billets Grille, Charge Only Remote USB Port, Class IV Receiver Hitch, Cold Weather Group, Dual Rear Exhaust w/Bright Tips, Electric Shift-On-Demand Transfer Case, Electroluminescent Instrument Cluster, Engine Block Heater, Exterior Mirrors Courtesy Lamps, Exterior Mirrors w/Supplemental Signals, Fog Lamps, Folding Flat Load Floor Storage, For Details Visit DriveUconnect.com, Front Armrest w/3 Cupholders, Front Center Seat Cushion Storage, Glove Box Lamp, GPS Antenna Input, GPS Navigation, Integrated Voice Command w/Bluetooth, Leather Wrapped Steering Wheel, LED Bed Lighting, Media Hub (USB, AUX), Nav-Capable! See Dealer for Details, Overhead Console w/Garage Dr Opener, ParkSense Front/Rear Park Assist System, ParkView Rear Back-Up Camera, Power 10-Way Driver Seat, Power Heated Fold-Away Mirrors, Power Lumbar Adjust, Power-Folding Mirrors, Premium Cloth 40/20/40 Bench Seat, Quick Order Package 26S Big Horn, Radio: Uconnect 3C w/8.4 Display, Rear 60/40 Split Folding Seat, Rear Dome w/On/Off Switch Lamp, Remote Start System, Remote USB Port, Security Alarm, SIRIUSXM Satellite Radio, Spray In Bedliner, Steering Wheel Mounted Audio Controls, Storage Tray, Sun Visors w/Illuminated Vanity Mirrors, Uconnect Access, Underhood Lamp, Universal Garage Door Opener, Wheels: 20 x 8 Aluminum Chrome Clad, Winter Front Grille Cover.Stew Hansen Dodge Ram Chrysler Jeep RAM is honored to offer this gorgeous 2017 Ram 1500. Big Horn 4WDOdometer is 7304 miles below market average!Certified.FCA US Certified Pre-Owned Details: * Transferable Warranty * Roadside Assistance * Vehicle History * Powertrain Limited Warranty: 84 Month/100,000 Mile (whichever comes first) from original in-service date * Limited Warranty: 3 Month/3,000 Mile (whichever comes first) after new car warranty expires or from certified purchase date * 125 Point Inspection * Warranty Deductible: $100 * Includes First Day Rental, Car Rental Allowance, and Trip Interruption BenefitsCall now to get special offers and VIP treatment from our internet division. Please contact us today at 1-888-993-8282. CERTIFIED, LOW MILES, Remote Start, CLEAN CARFAX, CARFAX ONE OWNER, Up to 7-Year/100,000 Mile Powertrain Limited Warranty, Bluetooth/Hands Free Phone, 115V Auxiliary Power Outlet, 40/20/40 Split Bench Seat, 6 Month Trial (Reg. Required), 6 Month Trial (Registration Required), 8.4 Touchscreen Display, Air Conditioning ATC w/Dual Zone Control, Audio Jack Input for Mobile Devices, Auto-Dimming Exterior Mirrors, Auto-Dimming Rear-View Mirror, Big Horn Badge, Big Horn Regional Package, Bright/Bright Billets Grille, Charge Only Remote USB Port, Class IV Receiver Hitch, Cold Weather Group, Dual Rear Exhaust w/Bright Tips, Electric Shift-On-Demand Transfer Case, Electroluminescent Instrument Cluster, Engine Block Heater, Exterior Mirrors Courtesy Lamps, Exterior Mirrors w/Supplemental Signals, Fog Lamps, Folding Flat Load Floor Storage, For Details Visit DriveUconnect.com, Front Armrest w/3 Cupholders, Front Center Seat Cushion Storage, Glove Box Lamp, GPS Antenna Input, Integrated Voice Command w/Bluetooth, Leather Wrapped Steering Wheel, LED Bed Lighting, Media Hub (USB, AUX), Nav-Capable! See Dealer for Details, Overhead Console w/Garage Dr Opener, ParkSense Front/Rear Park Assist System, ParkView Rear Back-Up Camera, Power 10-Way Driver Seat, Power Heated Fold-Away Mirrors, Power Lumbar Adjust, Power-Folding Mirrors, Premium Cloth 40/20/40 Bench Seat, Quick Order Package 26S Big Horn, Radio: Uconnect 3C w/8.4 Display, Rear 60/40 Split Folding Seat, Rear Dome w/On/Off Switch Lamp, Remote Start System, Remote USB Port, Security Alarm, SIRIUSXM Satellite Radio, Steering Wheel Mounted Audio Controls, Storage Tray, Sun Visors w/Illuminated Vanity Mirrors, Uconnect Access, Underhood Lamp, Universal Garage Door Opener, Wheels: 20 x 8 Aluminum Chrome Clad, Winter Front Grille Cover.Stew Hansen Dodge Ram Chrysler Jeep RAM is excited to offer this wonderful 2017 Ram 1500. Big Horn 4WDOdometer is 4701 miles below market average!Certified.FCA US Certified Pre-Owned Details: * Roadside Assistance * Vehicle History * 125 Point Inspection * Limited Warranty: 3 Month/3,000 Mile (whichever comes first) after new car warranty expires or from certified purchase date * Transferable Warranty * Powertrain Limited Warranty: 84 Month/100,000 Mile (whichever comes first) from original in-service date * Includes First Day Rental, Car Rental Allowance, and Trip Interruption Benefits * Warranty Deductible: $100Call now to get special offers and VIP treatment from our internet division. Please contact us today at 1-888-993-8282. CERTIFIED, LOW MILES, Remote Start, ONE OWNER, CLEAN CARFAX, Up to 7-Year/100,000 Mile Powertrain Limited Warranty, CERTIFIED: 125-Point Inspection, 115V Auxiliary Power Outlet, 3.21 Rear Axle Ratio, 4-Wheel Disc Brakes, 6 Month Trial (Reg. Required), 6 Month Trial (Registration Required), 8.4 Touchscreen Display, ABS brakes, Air Conditioning ATC w/Dual Zone Control, Anti-Spin Differential Rear Axle, Audio Jack Input for Mobile Devices, Auto-Dimming Exterior Mirrors, Auto-Dimming Rear-View Mirror, Big Horn Badge, Big Horn Regional Package, Brake assist, Bright/Bright Billets Grille, Bucket Seats, Charge Only Remote USB Port, Class IV Receiver Hitch, Dual Rear Exhaust w/Bright Tips, Electric Shift-On-Demand Transfer Case, Electroluminescent Instrument Cluster, Electronic Stability Control, Exterior Mirrors Courtesy Lamps, Exterior Mirrors w/Supplemental Signals, Fog Lamps, Folding Flat Load Floor Storage, For Details Visit DriveUconnect.com, Front Armrest w/3 Cupholders, Front Center Seat Cushion Storage, Full Length Upgraded Floor Console, Glove Box Lamp, GPS Antenna Input, Integrated Voice Command w/Bluetooth, Leather Wrapped Steering Wheel, LED Bed Lighting, Media Hub (USB, AUX), Nav-Capable! See Dealer for Details, Overhead Console w/Garage Dr Opener, Panic alarm, ParkSense Front/Rear Park Assist System, ParkView Rear Back-Up Camera, Power 10-Way Driver Seat, Power Heated Fold-Away Mirrors, Power Lumbar Adjust, Power steering, Power windows, Power-Folding Mirrors, Premium Cloth 40/20/40 Bench Seat, Premium Cloth Bucket Seats, Quick Order Package 26S Big Horn, Radio: Uconnect 3C w/8.4 Display, Rear 60/40 Split Folding Seat, Rear Dome w/On/Off Switch Lamp, Remote keyless entry, Remote Start System, Remote USB Port, Security Alarm, SIRIUSXM Satellite Radio, Speed control, Steering Wheel Mounted Audio Controls, Storage Tray, Sun Visors w/Illuminated Vanity Mirrors, Tip Start, Traction control, Uconnect Access, Underhood Lamp, Universal Garage Door Opener, Wheels: 20 x 8 Aluminum Chrome Clad.Stew Hansen Dodge Ram Chrysler Jeep RAM is pumped up to offer this outstanding 2017 Ram 1500. Big Horn 4WDOdometer is 4594 miles below market average!Certified.FCA US Certified Pre-Owned Details: * Vehicle History * Transferable Warranty * Limited Warranty: 3 Month/3,000 Mile (whichever comes first) after new car warranty expires or from certified purchase date * Warranty Deductible: $100 * Roadside Assistance * Includes First Day Rental, Car Rental Allowance, and Trip Interruption Benefits * Powertrain Limited Warranty: 84 Month/100,000 Mile (whichever comes first) from original in-service date * 125 Point InspectionCall now to get special offers and VIP treatment from our internet division. Please contact us today at 1-888-993-8282. CERTIFIED, LOW MILES, Remote Start, ONE OWNER, CLEAN CARFAX, Up to 7-Year/100,000 Mile Powertrain Limited Warranty, CERTIFIED: 125-Point Inspection, 20 x 9 Polished Aluminum Wheels, 3.21 Rear Axle Ratio, 4-Wheel Disc Brakes, 6 Speakers, ABS brakes, AM/FM radio, Anti-Spin Differential Rear Axle, Audio Jack Input for Mobile Devices, Automatic temperature control, Brake assist, Class IV Receiver Hitch, Delay-off headlights, Dual Rear Exhaust w/Bright Tips, Electronic Stability Control, Front Bucket Seats, Front dual zone A/C, Front fog lights, Fully automatic headlights, GPS Antenna Input, Heated front seats, Heated Seats & Wheel Group, Heavy-Duty Engine Cooling, High Back Seats, Media Hub (USB, AUX), Next Generation Engine Controller, Panic alarm, Power driver seat, Power Lumbar Adjust, Power steering, Power windows, Quick Order Package 26L Sport, Radio data system, Radio: Uconnect 3C w/8.4 Display, Rear 60/40 Split Folding Seat, Remote keyless entry, Remote USB Port, SIRIUSXM Satellite Radio, Speed control, Split folding rear seat, Steering wheel mounted audio controls, Tip Start, Traction control, Trailer Brake Control.Stew Hansen Dodge Ram Chrysler Jeep RAM is delighted to offer this terrific 2017 Ram 1500. Sport 4WDCertified.FCA US Certified Pre-Owned Details: * 125 Point Inspection * Roadside Assistance * Powertrain Limited Warranty: 84 Month/100,000 Mile (whichever comes first) from original in-service date * Transferable Warranty * Vehicle History * Limited Warranty: 3 Month/3,000 Mile (whichever comes first) after new car warranty expires or from certified purchase date * Warranty Deductible: $100 * Includes First Day Rental, Car Rental Allowance, and Trip Interruption BenefitsCall now to get special offers and VIP treatment from our internet division. Please contact us today at 1-888-993-8282. CERTIFIED, Remote Start, NAVIGATION, ONE OWNER, CLEAN CARFAX, CARFAX ONE OWNER, SUNROOF / MOONROOF, Up to 7-Year/100,000 Mile Powertrain Limited Warranty, Sirius XM Satellite Radio with Free 1 year XM Access, CERTIFIED: 125-Point Inspection, 3.92 Rear Axle Ratio, 4-Wheel Disc Brakes, 8.4 Touchscreen Display, 9 Alpine Speakers w/Subwoofer, ABS brakes, Air Conditioning, Audio Jack Input for Mobile Devices, Automatic temperature control, Brake assist, Dual Rear Exhaust w/Bright Tips, Electronic Stability Control, Front Bucket Seats, Front dual zone A/C, GPS Antenna Input, GPS Navigation, HD Radio, Heated Front Seats, Heated front seats, Heated Seats & Wheel Group, Heated Steering Wheel, Integrated Voice Command w/Bluetooth, Media Hub (USB, AUX), Panic alarm, Power driver seat, Power Lumbar Adjust, Power steering, Power Sunroof, Power windows, Premium Sound Group, Quick Order Package 26L Sport, Radio: Uconnect 3C Nav w/8.4 Display, Rear 60/40 Split Folding Seat, Remote keyless entry, Remote USB Port, SIRIUSXM Satellite Radio, SIRIUSXM Traffic, SIRIUSXM Travel Link, Speed control, Split folding rear seat, Steering wheel mounted audio controls, Tip Start, Traction control, Tri-Fold Tonneau Cover, Uconnect Access, Uconnect Access 1 Year Trial, Wheels: 20 x 9 Semi-Gloss Black Aluminum.Stew Hansen Dodge Ram Chrysler Jeep RAM is proud to offer this gorgeous 2017 Ram 1500. Sport 4WDCertified.FCA US Certified Pre-Owned Details: * Transferable Warranty * Limited Warranty: 3 Month/3,000 Mile (whichever comes first) after new car warranty expires or from certified purchase date * Powertrain Limited Warranty: 84 Month/100,000 Mile (whichever comes first) from original in-service date * Roadside Assistance * Vehicle History * Includes First Day Rental, Car Rental Allowance, and Trip Interruption Benefits * 125 Point Inspection * Warranty Deductible: $100Call now to get special offers and VIP treatment from our internet division. Please contact us today at 1-888-993-8282. CERTIFIED, CLEAN CARFAX, Up to 7-Year/100,000 Mile Powertrain Limited Warranty, Bluetooth/Hands Free Phone, Sirius XM Satellite Radio with Free 1 year XM Access, 3.73 Axle Ratio, 40/20/40 Split Bench Seat, Front Armrest w/Cupholders, Heated Front Seats, Leather Trim 40/20/40 Bench Seat, Quick Order Package 2FH Laramie, Ventilated front seats, Wheels: 18 x 8.0 Polished Aluminum.Stew Hansen Dodge Ram Chrysler Jeep RAM is proud to offer this fantastic-looking 2018 Ram 2500. Laramie 4WDCertified.FCA US Certified Pre-Owned Details: * Includes First Day Rental, Car Rental Allowance, and Trip Interruption Benefits * Powertrain Limited Warranty: 84 Month/100,000 Mile (whichever comes first) from original in-service date * 125 Point Inspection * Transferable Warranty * Limited Warranty: 3 Month/3,000 Mile (whichever comes first) after new car warranty expires or from certified purchase date * Vehicle History * Warranty Deductible: $100 * Roadside AssistanceCall now to get special offers and VIP treatment from our internet division. Please contact us today at 1-888-993-8282. CERTIFIED, LOW MILES, Remote Start, LEATHER, ONE OWNER, CLEAN CARFAX, Up to 7-Year/100,000 Mile Powertrain Limited Warranty, 10 Speakers, 3.42 Axle Ratio, ABS brakes, AM/FM radio, Audio memory, Automatic temperature control, Brake assist, Electronic Stability Control, Front Armrest w/Cupholders, Front dual zone A/C, Front fog lights, Memory seat, Panic alarm, Power driver seat, Power steering, Power windows, Quick Order Package 2FH Laramie, Radio data system, Radio: Uconnect 4C w/8.4 Display, Remote keyless entry, Security system, Speed control, Steering wheel mounted audio controls, Traction control, Wheels: 18 x 8.0 Polished Aluminum.Stew Hansen Dodge Ram Chrysler Jeep RAM is honored to offer this great-looking 2018 Ram 2500. 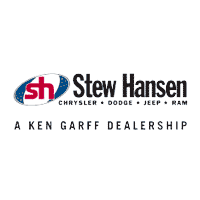 Laramie 4WDCertified.FCA US Certified Pre-Owned Details: * Powertrain Limited Warranty: 84 Month/100,000 Mile (whichever comes first) from original in-service date * Vehicle History * Limited Warranty: 3 Month/3,000 Mile (whichever comes first) after new car warranty expires or from certified purchase date * Includes First Day Rental, Car Rental Allowance, and Trip Interruption Benefits * Warranty Deductible: $100 * Transferable Warranty * Roadside Assistance * 125 Point InspectionCall now to get special offers and VIP treatment from our internet division. Please contact us today at 1-888-993-8282. Last chance End Of Month Blowout!! CLEAN CARFAX, CARFAX ONE OWNER, CERTIFIED, LEATHER, NAVIGATION, Up to 7-Year/100,000 Mile Powertrain Limited Warranty, Bluetooth/Hands Free Phone, 12 Touchscreen Display, 1-YR SiriusXM Guardian Trial, 3.21 Rear Axle Ratio, Adaptive Cruise Control w/Stop & Go, Advanced Brake Assist, Advanced Safety Group, Apple CarPlay, Automatic temperature control, Blind Spot & Cross Path Detection, Disassociated Touchscreen Display, Electronic Stability Control, Foam Bottle Insert (Door Trim Panel), Front Seat Back Map Pockets, Full Speed Forward Collision Warning Plus, Google Android Auto, GPS Antenna Input, GPS Navigation, harman/kardon 19 Speaker Premium Sound, HD Radio, Heated Second Row Seats, Integrated Center Stack Radio, Lane Keep Assist, Longhorn Level 1 Equipment Group, Navigation System, No Satellite Coverage w/HI/AK/PR/VI/GU, Parallel & Perp Park Assist w/Stop, Power Running Boards, Quick Order Package 25K Longhorn, Radio: Uconnect 12 w/Navigation, Remote keyless entry, SiriusXM Satellite Radio, SiriusXM Traffic Plus, SiriusXM Travel Link, SiriusXM w/360L, USB Host Flip, Ventilated Rear Seats, Wheels: 20 x 9 Aluminum Painted/Polished, Wireless Charging Pad.Stew Hansen Dodge Ram Chrysler Jeep RAM is delighted to offer this terrific 2019 Ram 1500. Laramie Longhorn 4WDCertified.FCA US Certified Pre-Owned Details: * Includes First Day Rental, Car Rental Allowance, and Trip Interruption Benefits * Powertrain Limited Warranty: 84 Month/100,000 Mile (whichever comes first) from original in-service date * Transferable Warranty * Limited Warranty: 3 Month/3,000 Mile (whichever comes first) after new car warranty expires or from certified purchase date * Warranty Deductible: $100 * 125 Point Inspection * Roadside Assistance * Vehicle HistoryCall now to get special offers and VIP treatment from our internet division. Please contact us today at 1-888-993-8282. CERTIFIED, CARFAX ONE OWNER, FLAT BED, Up to 7-Year/100,000 Mile Powertrain Limited Warranty, 40/20/40 Split Bench Seat, ABS brakes, Aluminum Rear Axle Differential Cover, Body Insulation, Bright Front Bumper, Bright Grille, Cloth 40/20/40 Bench Seat, Color Keyed Instrument Panel Bezel, Dual Transmission Oil Cooler, Electronic Stability Control, Floor Covering Carpet, For More Info, Call 800-643-2112, Front & Rear Floor Mats, Front Armrest w/Cupholders, Front Wheel Spats, Heated door mirrors, Manual Adjust Seats, Max Tow Package, Overhead Console, Premium Vinyl Door Trim w/Map Pocket, Quick Order Package 29G SLT, Rear Folding Seat, Remote Keyless Entry, SIRIUSXM Satellite Radio, SLT Badge, Storage Tray, Temperature & Compass Gauge, Traction control, Transmission Software Calibration, Traveler/Mini Trip Computer, Underbody Thermal Protection, Wheels: 17 x 6 Steel Chrome Clad.Stew Hansen Dodge Ram Chrysler Jeep RAM is pleased to offer this handsome 2017 Ram 3500. SLT 4WDOdometer is 34948 miles below market average!Certified.FCA US Certified Pre-Owned Details: * Roadside Assistance * Includes First Day Rental, Car Rental Allowance, and Trip Interruption Benefits * Powertrain Limited Warranty: 84 Month/100,000 Mile (whichever comes first) from original in-service date * Warranty Deductible: $100 * Transferable Warranty * Vehicle History * 125 Point Inspection * Limited Warranty: 3 Month/3,000 Mile (whichever comes first) after new car warranty expires or from certified purchase dateCall now to get special offers and VIP treatment from our internet division. Please contact us today at 1-888-993-8282. CLEAN CARFAX, Air Conditioning, Delay-off headlights, Electronic Stability Control, Exterior Parking Camera Rear, Panic alarm, Power steering, Preferred Equipment Group 4LT, Security system, Wheels: 17 x 8 Blade Silver Metallic Cast Alloy.Stew Hansen Dodge Ram Chrysler Jeep RAM is delighted to offer this attractive-looking 2018 Chevrolet Colorado. LT 4WDCall now to get special offers and VIP treatment from our internet division. Please contact us today at 1-888-993-8282. LOW MILES, ONE OWNER, CLEAN CARFAX, 3.73 Axle Ratio, 4-Wheel Disc Brakes, 7 Speakers, ABS brakes, Air Conditioning, Alloy wheels, AM/FM radio: SiriusXM, Brake assist, Bumpers: chrome, Cloth 40/20/40 Split Bench Seat, Delay-off headlights, Electronic Stability Control, Exterior Parking Camera Rear, Fully automatic headlights, GVWR: 10,000 lb Payload Package, Heated door mirrors, Panic alarm, Power door mirrors, Power steering, Power windows, Radio data system, Radio: AM/FM Stereo/MP3 Player, Rear step bumper, Remote keyless entry, Security system, SiriusXM Radio, Speed control, Split folding rear seat, Steering wheel mounted audio controls, SYNC Communications & Entertainment System, Traction control.Stew Hansen Dodge Ram Chrysler Jeep RAM is delighted to offer this beautiful 2019 Ford F-250SD. XLT 4WDCall now to get special offers and VIP treatment from our internet division. Please contact us today at 1-888-993-8282.